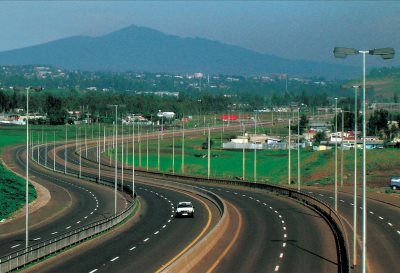 AFRICANGLOBE – Mrs. Gifty Abasiya Ababulgu, the Ethiopian Ambassador, has said annual report of the African Centre for Economic Transformation recognized Ethiopia’s economy among the 10th fastest growing economy in the world. She said Ethiopia had registered a double digit economic growth for the last 10 years consecutively and made significant transitions from an agricultural based to an industrial economy. Mrs. Ababulgu said this in Accra on the occasion of the 23rd anniversary of the overthrow of the Dergue Military Regime and the establishment of Federal Democratic Republic of Ethiopia on May 28, 1991. She said the country in its five years growth and transformation plan, laid emphasis on the development of alternative energies, taking into consideration the comparative advantages in agriculture, hydropower and bio fuel production. Mrs. Ababulgu said Ethiopia’s carbon free economic growth would contribute to the reduction of drought and famine and that the country had seen a remarkable result in the reduction of desertification in its eastern part where a lot of pastoralists inhabit. She said Ethiopa’s active role in Environmental Negotiation is based on its commitment for environmental security and its development policy on agriculture, inclusive basin based development and sound water and environmental management. Mrs. Ababulgu said Ethiopia’s role in the negotiation in the conflict in South Sudan, the deployment of peacekeepers in Sudan and Somalia had contributed in ensuring peace in the region. She expressed Ethiopia’s desire to work and learn from Ghana, and that the mutual understanding between the two countries should be translated into concrete cooperation among business peoples. Mrs. Elizabeth Ofosu-Adjare, the Minister of Tourism, Culture and Creative Arts, said the two countries had played pioneering roles in the course of Africa’s unity and development. She said bilateral relations between the two countries received a great boost by the three-day visit to Ghana by Dr. Tadros Gbebreyesus Adhanom, Minister of Foreign Affairs of the Federal Democratic Republic of Ethiopia. She said the Ethiopia Minister joined his Ghanaian counterpart to sign the General Cooperation Agreement to accelerate the mutually beneficial cooperation between the two countries in areas of infrastructural development, transport, agriculture, education and tourism, culture and creative arts. Mrs. Ofosu-Adjare reiterates the country’s firm believe in the establishment of the Permanent Joint Commission of cooperation as an effective platform for accelerating mutually beneficial cooperation that will inure to the well-being of the peoples.